A drum set is never complete without a snare drum. This musical tool, although often on the sidelines, has such a vital role to play in making great sounds or music. But what does a snare drum do exactly? What are its components? Is it difficult to learn how to set up a snare drum? 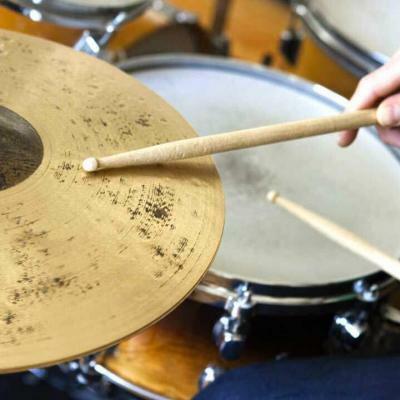 If you are new to the world of drums, then here is a basic guide on the snare drum. 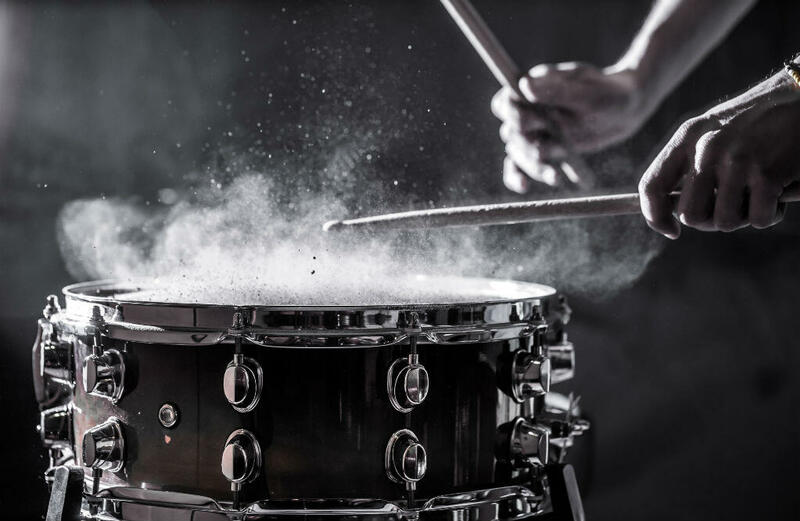 What Is a Snare Drum? A snare drum, also popularly known as a side drum, produces sharp staccato sound when it is hit with a drumstick or mallet. 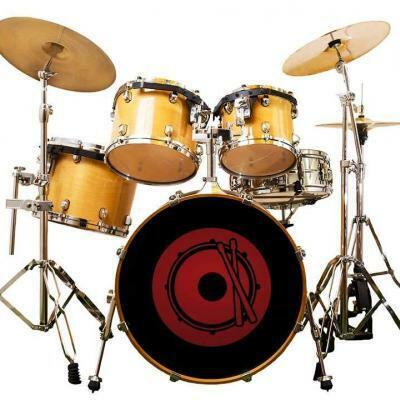 It is part of the drum kit of drumlines, marching bands, concert and rock bands, and parades. It consists of two drum heads which are made from either animal hides or plastic. It is the smallest drum of any drum set. As mentioned, one only needs a drumstick or a mallet to play the snare drum. A snare drum is often placed on an adjustable stand. This allows the musician to adjust the angle of the drum as well as its height. The drums, including the snare, have different parts. It is called a snare drum because it has somewhere between eight to 18 snares made of plastic, nylon, sill, and metal that are extended across the drum’s head. These snares are the ones responsible for creating terse sounds. Contrary to popular belief, the shell is more than just an enclosure as it greatly affects the sounds. Shells are usually made of mixed or single wood species such as mahogany, birch, maple, ash, and poplar. 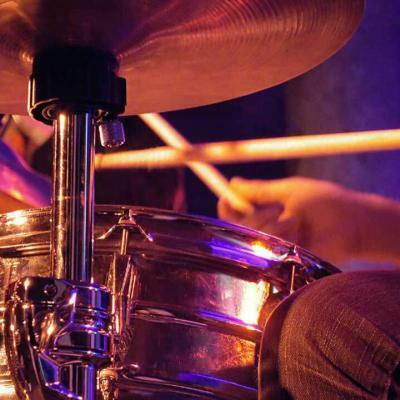 A snare drum’s shell material can also be from metals like bronze steel, brass, and aluminum. The kind of material used for the shell also affects the sounds produced by the instrument. Most snare drums these days have triple-flange metal hoops or die-cast. The former allows the drummer to ring longer thus producing more overtones and get better snare sensitivity. On the other hand, the die-cast hoops offer a sturdier feel, particularly for loud rimshots. They also normally make the drum produce fewer overtones. 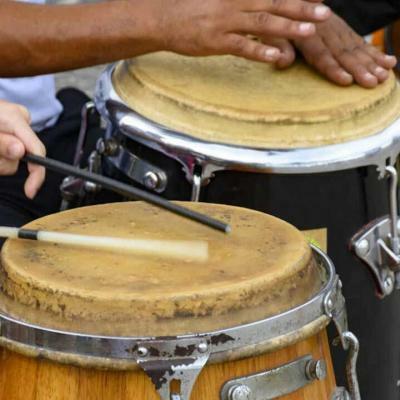 There are also snare drums on the market that use wooden hoops, which tend to warm-up the sounds. Wooden hoops also change the spectrum of the overtones. A snare drum either has a tension rod or lugs, and the design of the tensioning system greatly affects the sound the drum produces. Most snare drums on the market use the lug design. These designs are either tube lugs or split lugs. The former means there is less contact of the metal with the shell, which improves the sustain and gives a slightly different sound. Split lugs, on the other hand, have more contact with the drum’s shells. There are many options when it comes to the head. There are single- and double-ply coated batter heads and pre-muffled models. 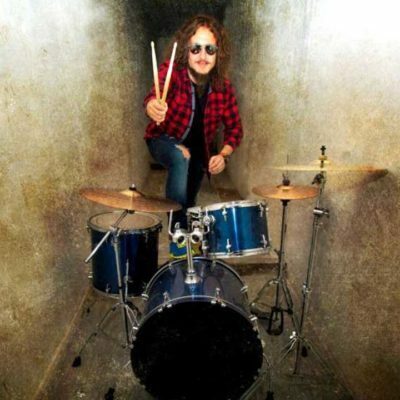 The snares would be uncontrollable and buzzy if there are no snare beds as it is a crucial yet subtle part of the drum. It is the part of the drum that allows the snare wires to lie flat against the drum head. What to Look for In a Snare Drum Stand? Before learning how to set up a snare drum, one must first choose the best stand possible for the instrument. Failure to procure a good stand may cause difficulties in playing the drum really well. 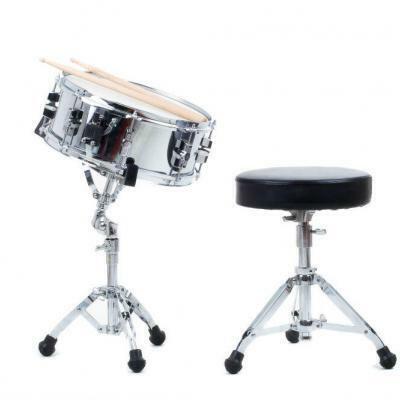 There are different designs to choose from when purchasing a snare drum set stand. There is the basket-style, classic three-leg style, and L-Styles. In choosing a snare drum stand, one has to keep in mind the positioning of the player. After all, it would be hard to play in one gig to another if the musician is in an uncomfortable position for most times. The first thing to look for is a stand with an adjustable basket or a basket that can easily be resized using a single wingnut to fit a variety of snare drums. Most snare drum stands on the market have this feature. However, some products are easier to adjust compared to others. It is also essential to find a stand that has the universal and gearless basket tilter. 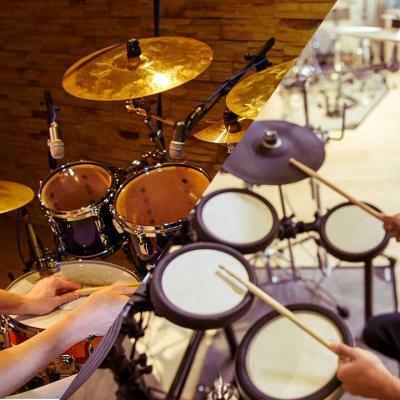 Having this feature allows the player to fine-tune the exact position of the snare drum easily for ease of hitting. Most mid- to professional-grade snare drum stands have the gearless friction tilters these days. Finding a stand that has the width and height adjustment is also beneficial. Keep in mind that the stand has to be able to go low enough for those with a deep snare or high enough for those with a piccolo. For those who often play in cramped spaces, it is best to have a snare drum stand with adjustable width. How to Set Up A Snare Drum? Setting up a snare drum and attaching it to a stand are easy. It is advisable first to read the instructions provided by the manufacturer of the stand to ensure a fast set-up. The first step in setting-up a snare drum is to remove the drum from its case. Once done, set-up the stand. 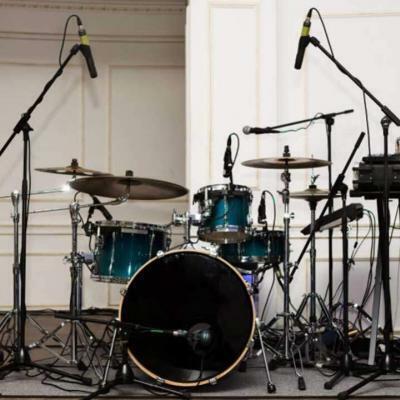 Make sure that the stand is stable on the floor while the snare drum’s basket is parallel to the floor. Slowly place the snare drum to the stand. The snares must be on the bottom while the release lever is facing in front of you. Gently adjust the drum’s basket to ensure that it is fitted well and not moving. Look for the drum’s height adjustment so that the snare’s top rum is slightly below the waistline. Use the angle adjuster to tilt the drum a little bit towards you. Now, grab the two drumsticks and stand straight in front of the drum. Your forearms should be almost parallel to the floor as you bend your arms at the elbows. The upper arms must be close to your sides but never touching it. If this is not the case, then proceed to adjust the drum again using the angle adjuster. Understanding what a snare drum is and how to set it up is not rocket science. The comfort and position of the player are the things to keep in mind when choosing a snare drum stand as well as in setting it up. Which Drum Set Should I Buy?